On Wednesday the 28th of March, Limor were fortunate enough to attend a World Media Group event in London “The Impact of Voice and Sound” - This was a fantastic event which added more fuel to the fire that is the Limor social audio conspiracy. As many of you may know, London has become an incredibly important destination for Limor to network and meet new investors interested in helping the limor product grow. This trip was a little bit different than the usual business trips however, this time it was related more to research of the audio market and product development of the platform. 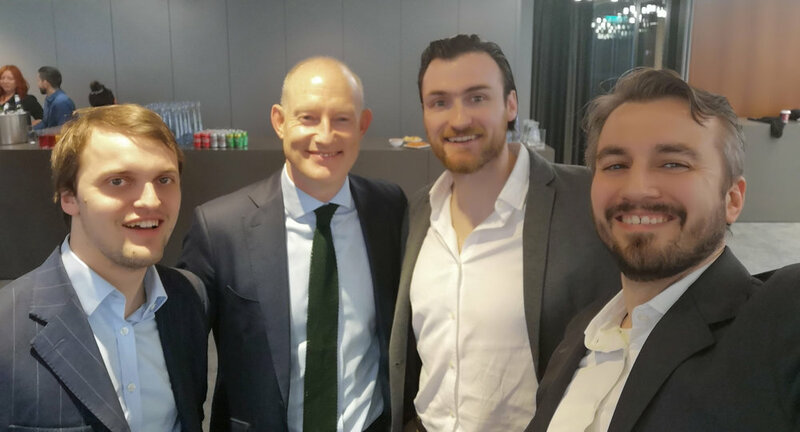 Limor CEO & Founder Shane Monahan attended the event being held in the News building after being invited by Thoburns, who have been working closely alongside Limor on the PR side of things in the UK. The event, “The Impact of Voice and Sound” confirmed everything and more that Limor has been preaching over the last 4 years, in terms of where things are going in the realm of audio, technology and voice. Not only was it positive to hear these things from some top speakers at the event including Jeremy Pounder of Mindshare, Brenda Salinas of Google and Sebastian Tomich of The New York Times, (each talking of their experiences and expertise in the world of voice), it was also extremely interesting to listen to the health benefits of audio consumption as opposed to other forms of media. Jeremy Pounder for example spoke extensively about how the mind reacts when it hears voice in comparison to when it reads text or sees images / videos and how much harder it has to work with these visual elements, voice is a fundamentally more streamlined, more effective and a less stressful way for the brain to gather information. Another exciting speaker was Hamish Goulding the head of Global Brand Strategy & Creative for HSBC. Hamish spoke of the importance of “Sonic identity” moving into the future and how HSBC have begun to evolve their brand and marketing to take advantage of the new era of audio that is upon us. HSBC even went as far as to employ the legendary Jean Michel Jarre to compose the music and soundboard for their new sonic branding. What was so exciting about this event from a Limor perspective is that we as a company have been highlighting the problems that can be solved and opportunities that voice and social audio can offer the world since we came into being, to hear leading industry experts confirming our philosophies and strategies really added fuel to the Limor fire. You can hear Shane’s full social audio cast about the day here and check out some images from the event on our Facebook page.